Favorites timeee! Whoop September is right around the corner and I am excited that fall is coming our way. Gosh, how much I missed the deeper, darker colors! It feels quite weird saying that having in mind that I am currently on a summer holiday but let’s just say that I have had enough of the summer makeup and cannot wait to rock my beloved vampy lip. Having said that, I am afraid that August hasn’t been very exciting beauty wise as I was restraining myself of buying much summer bits we all know I don’t need. However, I still have some fantastic bits that I brought with me to the seaside and I am absolutely loving them. Shall we jump right in? Let’s go! I couldn’t do my August favorites without talking about this amazing Aussie brand that has flooded out Instagram feeds with pretty pictures of stunning colorful bikinis! Yep, you know the one – TRIANGL! When I was kindly sent their beautiful Winnie – Arizona Sunset* swimsuit (here) I was literally smitten. From the stunning pastel neon orange color to the super comfy neoprene fabric – it ticks all boxes and I absolutely love sporting it on the beach. The quality of the swimsuit is out of this word – it is firm but cushiony soft at the same time and it just hugs the body, making you feel super airy and comfortable in your own skin. The color of the bikini is the best part as it is so unique and eye catching and I love that it makes me look tan even though I actually resemble a ghost haha. In one word – it rocks. Okay, I am not a big beach / pool makeup wearer but a touch of waterproof mascara won’t hurt anyone, am I right. Having said that, we all know how these remove – they could be such a pain unless you have a great makeup remover to handle the situation. And I am happy to report that I found mine! Say hello to the Benefit They’re Real Removal* (here). This baby strips off the very last bit of my waterproof eye makeup in literally two swipes. It is a cream based removal, which might feel a bit old school for some and it could get a bit messy but hey - it gets the job done perfectly and that’s what counts right! You end up with absolutely no trace of makeup whatsoever and with super hydrated eye area. Also – no dragging and pulling up the skin needed! Simples. Another Benefit gem has made its way into my favorites this month. Yes, I am looking at you Benefit Boi-Ing Concrealer (here). This is such an oldie but a total goodie and I rediscovered all the magic it does recently. It covers everything from my dark under eye circles to any spots and blemishes I might be dealing with. And it does a fab job! It has a lovely creamy formula that blends like charm, ensuring around eight hors of wear without fading or creasing, while still adding just the right amount of coverage. It’s love. I have been on a peachy makeup kick recently and this MAC Springsheen blush (here) has been keeping me the best company. Let’s just have a moment and appreciate the gorgeous peachy coral shade and the stunning golden shimmer that runs through it. Absolutely amazing and I adore the way Springsheen warms up my complexion and adds beautiful sheen to my cheeks. The formula is hands down incredible as well with its mind blowing color pay off. One gentle dab of the brush and that’s both your cheeks done for the day. Literally. YSL Rouge Volupte lipstick in #13 Peach Passion (here). Yes I know I’ve talked about this baby a million times before but that’s just what has been gracing my lips for the majority of August. Plus, if you need one final push before you decide to splurge on an YSL lippy I am happy to help haha. The formula of the Rouge Volupe range is probably the best one I have found. And I’ve tried many! It just glides on, giving full blown color in just one swipe and the silky soft, non-drying feeling really tickles my fancy. Sadly the longevity is not its strongest feature as it starts to disappear around the second hour mark. However, thanks to the gorgeous luxurious packaging the reapplication is a total bliss and I enjoy every second of it to be honest. Peach Passion is the ideal peachy shade for my pink toned complexion and I love that it is bright but wearable at the same time. The perfect all rounder. Have you tried any of these products before? Which is the one product that you have been obsessed with this past month? Great picks Andrea! Well, I can't help it, next summer a Triangl swimsuit will be mine for sure! I really want to try that benefit concealer! Sounds like something I need to try out! That Triangl bikini is perfect! Such a gorgeous shade! I've added Springsheen blush to my wishlist after seeing it here! not a huge fan of the boing concealer! The bikini colour is gorgeous, I must check it out. Great to see Benefit concealer in this list, I have been wondering about it and now I might seriously purchase it to try too. Love the bikini and the MAC blusher! Springsheen looks soo pretty, never seen it before! 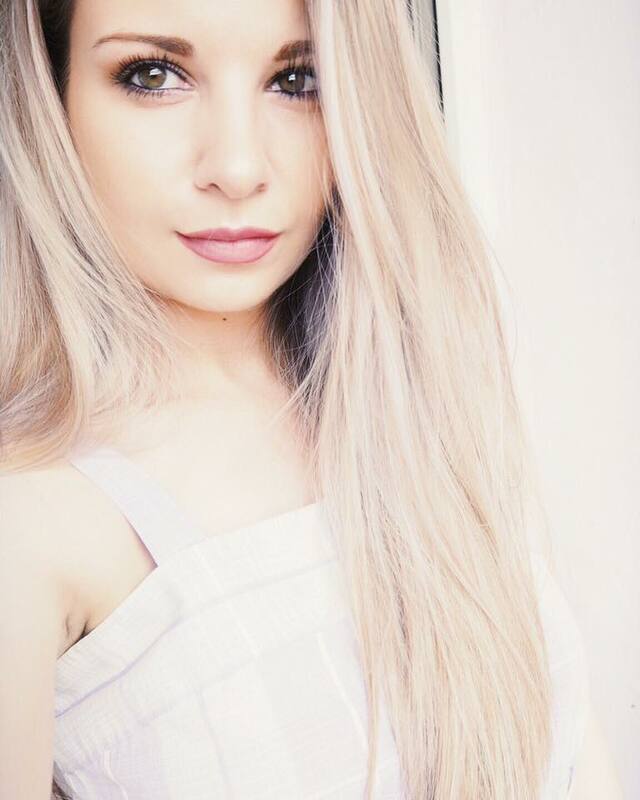 Nikini is beautiful! 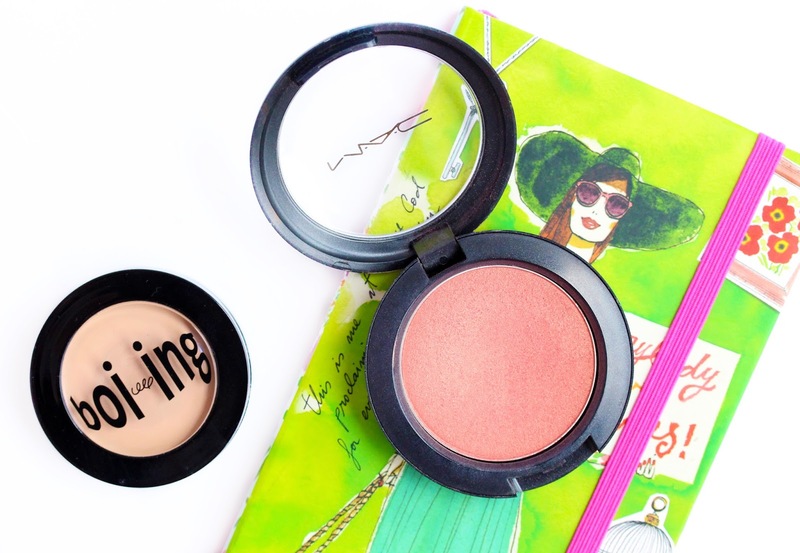 I'm also very excited to try the MAC blush! That YSL lipstick is gorgeous! Need to try out the They're Real Remover, although I don't have that much trouble removing the mascara it looks like a good one to try out. the YSL lipstick is so beautiful! Love that bikini, such a pretty colour! That blush is such a stunning shade!